Been busy with orders last week.Now that i have finished and delivered them,just wanted to a break and do some thing new.I have tried a wall hanging with lots of stuffs from my store ,which i have been dying to use for so long.I have used Melissa Frances decorative hanger for my vintage style wall hanging.Lots of Stampendous Shabby Embossing Enamel is been used around the edges to give a shabby/vintage look.Background is made with prima stencils and texture white paste.Hope you all liked it,see ya all again with another project. Dream Valley Challenges - Anything but a card. Glitter n Sparkle - Add some glitter n sparkle. Totally Tilda - Anything but a Card. Wowwww!! Gorgeous wall deco Kavitha, I love it!!! Wow! 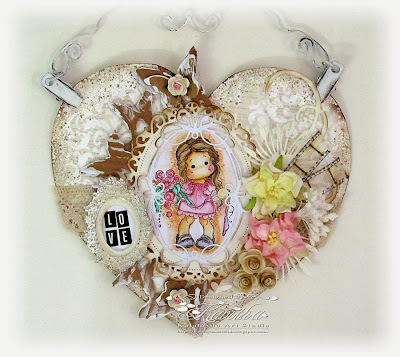 What a precious creation Kavitha, totally love your wall hanging, so rich and fine on any detail! 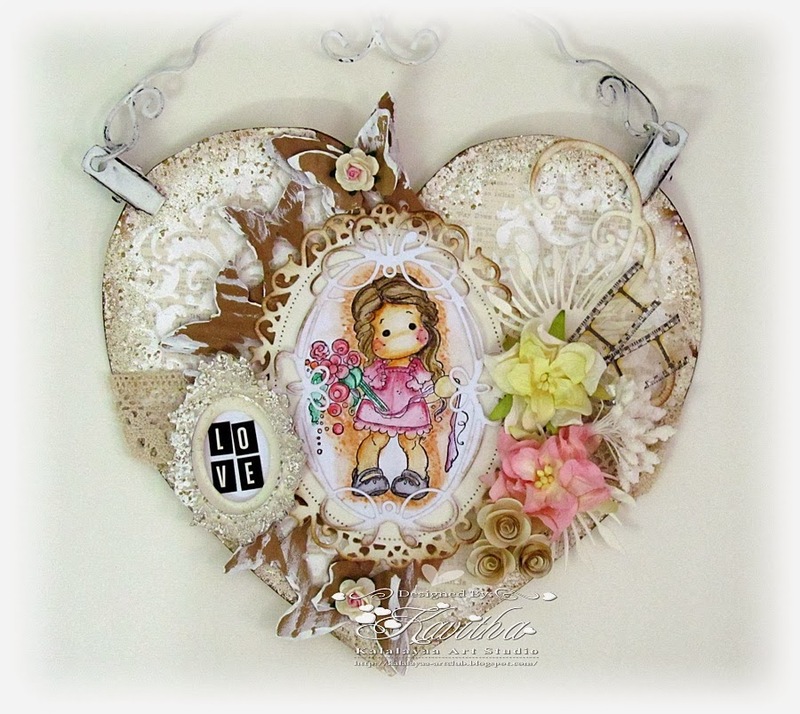 Gorgeous wall hanging, love your very pretty design. Thank you for sharing with us over at Midweek Magnolias. Such a gorgeous wall hanging. Thanks for joining us at www.7kidscollegefund.com. Stunning!!!!! Thanks for joining us at www.7KidsCollegefund.com! I have tried to e-mail you, but for some reason, it won't go through. I love your project! It's gorgeous! This is so lovely, would make a lovely gift! 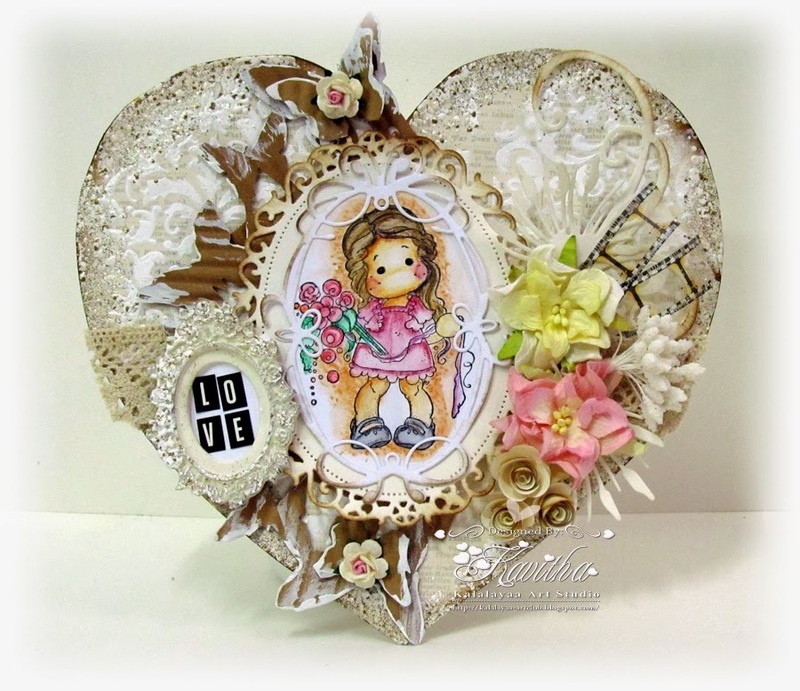 Thank you for joining the crafty Girls Challenge, hope to see you again soon. This is really really gorgeous!!!! 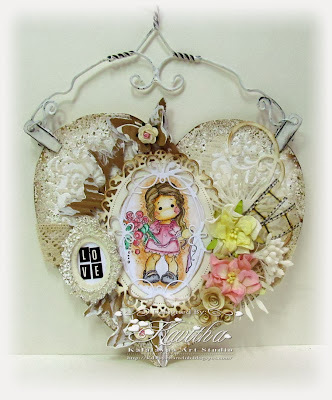 Love the vintage and shabby chic look to this. Beautiful project. Great colours and colouring. Beautiful wall hanger. Thanks for sharing with us at LLC: please note though for the future we have a max 10 challenges rule.